Stools and ottomans are the perfect extra seat that you can easily tuck in a corner or multi-purpose as way to kick your feet up at the end of the day and relax. Our high-quality pieces can easily take center stage in your sitting area or provide a colorful accent to your nautical style décor. Other compact seating options to consider include: accent chairs, benches and settees. Alana Round Textured Pouf The unique woven, textured styling of the Alana po..
Square Sheepskin Pouf Adorn your home with this lovely and elegant handcra..
Blue & White Bamboo Garden Stool This garden stool is a wonderful a..
Blue & White Hexagon Lotus Garden Stool This hexagon garden stool i..
Blue & White Paris Floral Garden Stool This garden stool is a wonde..
Jade Green "Celadon" Garden Stool This garden stool is a wond..
White Garden Stool This garden stool is a wonderful addition to all typ..
Cobalt Blue Garden Stool The cobalt blue garden stool is a wonderful additio..
Woven Cotton Pouf Adorn your home with this lovely and elegant woven cotto..
Hand Woven Cotton Pouf Adorn your home with this lovely and elegant woven ..
Pacific Home Furniture’s Faye Stool is the perfect addition to any room in your..
Indoor, Outdoor Pouf Add extra seating to any space with this indoor, outdoo.. Crystal Shell Designed Garden Stool This garden stool is a wonderf..
OttomanThe natural Kubu weaving material from Pacific Home Furniture is a soft gray color, which..
Hand Woven Wool Pouf Adorn your home with this lovely and elegant hand wov.. Distressed Stool -Karina Stool from Pacific Home Furniture with the distressed look is perfect f..
Cubed Designed Stool With HandlesKarina Stool from Pacific Home Furniture is perfect for any roo..
Woven Wool Pouf Adorn your home with this lovely coastal inspired blue and..
Tufted Ottoman Pacific Home Furniture’s Maison Tufted Round Ottoman is an e.. 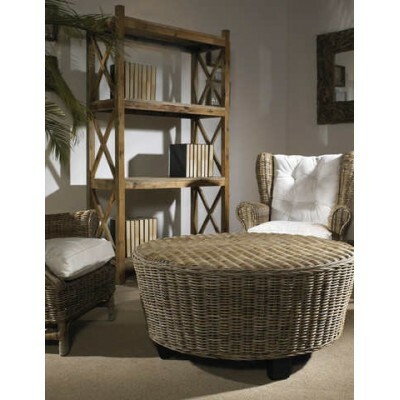 Round Ottoman Maison Tufted Round Ottoman from Pacific Home Furniture. This..
Metallic Gold Garden Stool The metallic gold garden stool is a won..
Metallic Silver Garden Stool The metallic silver garden stool is a wonderful..
Natural Stool - Pacific Home Furniture’s Natural Round Stool is perfect for any r..
Cube Stool -This perfect Orange Cube Stool from Pacific Home Furniture is perfect for any room i..
Square Stool Paol Stool from Pacific Home Furniture is a beautiful addition to yo..
Ottoman with Wood TopThe Paradise Ottoman with it's natural Kubu weaving material is a .. Colorful Seating - Natural Raffia Stools. Add a pop of color to any room with this ..
Metal Stool This Recycled Metal Round Stool from Pacific Home Furniture fuses ind..
Square Ottoman Square Tufted Ottoman from Pacific Home Furniture. This Ottoman is..
Square Mint Green Pouf Add extra seating and pop of color to any space with this ..
Square Dark Blue Pouf Add extra seating and pop of color to any space with this i..
OttomanThis contemporary design fits well with the brown and natural banana core. The frame is m.. Round Ottoman - Pacific Home Furniture’s Tufted Round Ottoman is the perfect addi..
White Carved Rope Designed Garden Stool This garden stool is a wonderful add.. Glamorous Faux Lamb Stool Enjoy the look and feel of this faux Mongolian lamb fur ..
Cubic Stool -Pacific Home Furniture’s elegant envisioning of the cubic ottoman, the Willem..
Woven Coffee Table Trunk Great for storage in any room, or just as decoration, this cof..